On its stand at this year’s Showman’s Show, Barkers Marquees will be showcasing its ‘sailcloth’ style Celeste and Traditional Pole Marquees. Clients have a choice of translucent fabrics which look stunning during the day and glow at night. Wooden poles are made from the highest engineering grade timber, treated in clear anti-fungicide and sourced from sustainable European sources. Models of the Petal and Tension Pole Marquee can also be viewed. 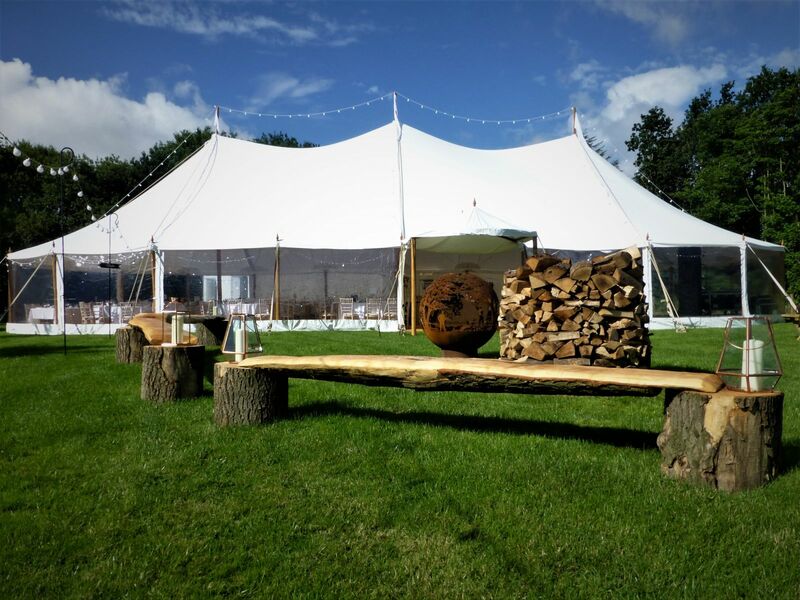 Pole Marquees are increasingly popular for rural venues and stunning locations. Clients appreciate the beauty of a Pole Marquee which complements a rural, festive or country house setting. These structures are modular in design, so middle sections can be added to lengthen the marquee. Compared to clear span frame marquees, they take less construction time, storage and transportation. They also look perfect without the addition of roof and wall linings! With expertise in Pole Tents, Barkers Marquees can help clients maximise their existing stock by making compatible parts to sample or new design. For example, change the shape of your square ended marquee by commissioning a pair of round ended or extend your stock even though your supplier has ceased trading. To reduce lead times, Barkers Marquees recently set up a sister company, Tentrum, in Poland to make marquees alongside their UK workshop. Quality is closely controlled by Artur Pyrzyk who ran its UK fabric workshop for many years. So, to witness fabric engineering at its absolute best, head to Avenue G, Stand 263 - the Barker’s team will be more than happy to talk you through their products and answer any questions you may have.